[2013.06.22] 伯南克的做法沒错 - 社论 - ECO中文网 - Powered by Discuz! it's not what you say but the way you say it. Various Fed governors had given speeches suggesting that a slowing of bond purchases was imminent, but were putting out mixed messages about why, how and when tapering might start. 2 第四段 this growth rate is not bad. But with politicians determined to tighten fiscal policy too fast, the central bankers need to stay loose for longer. 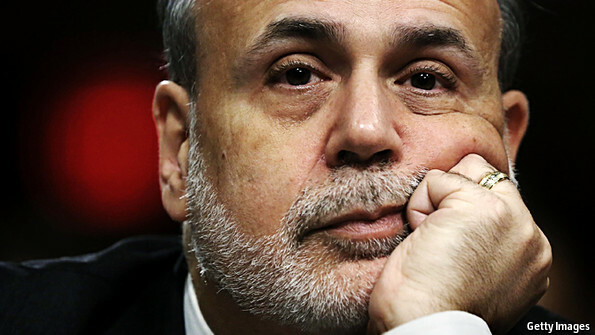 When America's jobless rate was down to 7%, which Mr Bernanke expects to be in the middle of 2014, the Fed planned to stop buying new bonds. GMT+8, 2019-4-21 04:17 , Processed in 0.208168 second(s), 30 queries .